Grayson looking a bit forlorn at the end of his lesson - the true test of a good time! The Importance of Science of SwimPlay® - Fun is my kids' #1 priority with anything we do and thankfully Goldfish Swim School brings fun and safety together by focusing on celebration, positive reinforcement and building confidence at each lesson. 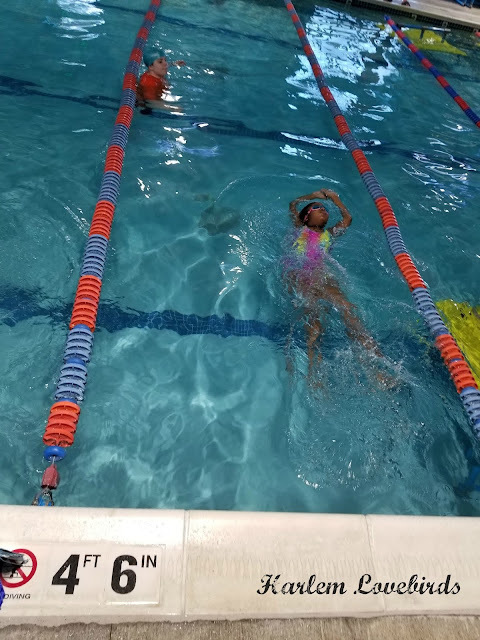 I love how they provide upbeat reminders to the kids throughout there lesson on how to stay safe in the water and give them plenty of high fives and ribbons when they reach milestones. Clean and warm - Goldfish Swim School prides itself on keeping a tidy facility and even uses a state-of-the-art UV filtration system. Additionally, the super warm water temperature maintained at a shiver-free 90 degrees keeps my kids focused and cozy in the water! Nia's getting good at her backstroke! 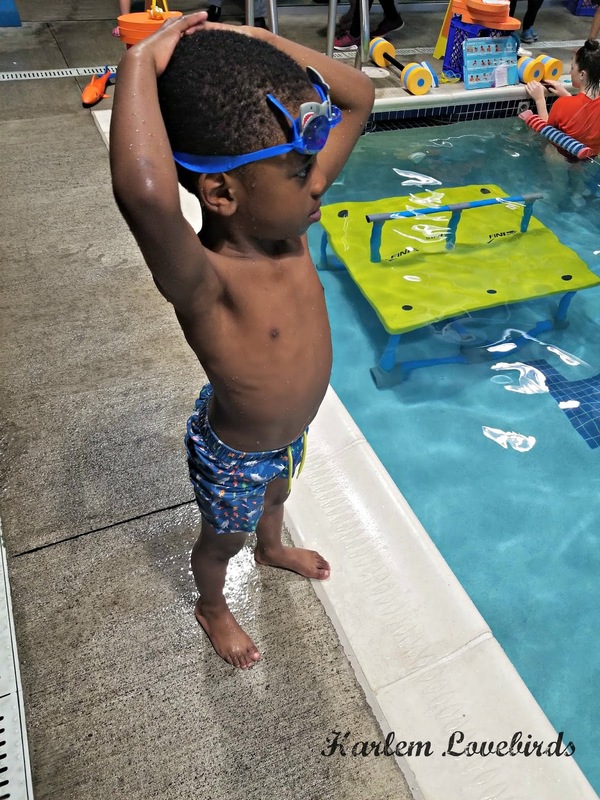 Focused Skill Mastery - Because Goldfish Swim School's curriculum isn't based on session count, kids are able to progress at a comfortable rate and can become competent swimmers. Right now, Nia is working on perfecting her strokes while Grayson is working on turning from back-to-front. I also like the 4:1 instructor to swimmer ratio that not only maintains the commitment to safety, but also give my kids the attention they need. 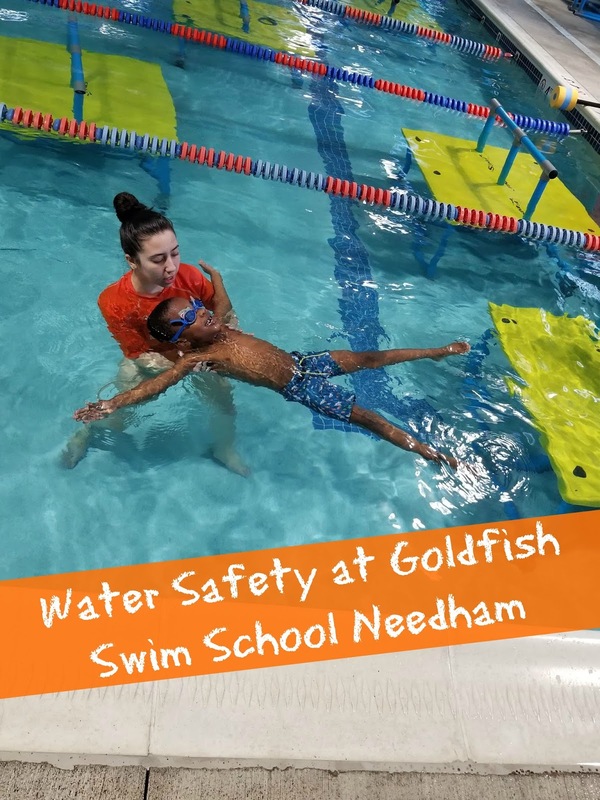 If you're curious about Goldfish Swim School visit their website to find a location near you! They're super friendly if you want to stop by for a tour.